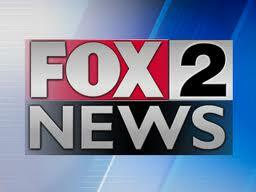 Yesterday, Bloxels was featured by Fox2Now St. Louis news, hailing our work to be "groundbreaking"! Rob Bennet did a great job presenting the Bloxels app. Our Game Jam with Happy Up Inc was awesome, and we hope to do another one soon! Big thanks to Fox2News and Happy Up Inc toys for featuring Bloxels! Find the Fox2Now Article and Coverage video here!